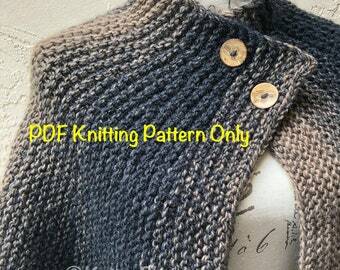 This listing is for 1 Digital Download of a PDF Knitting Pattern in ENGLISH ONLY (no other languages). 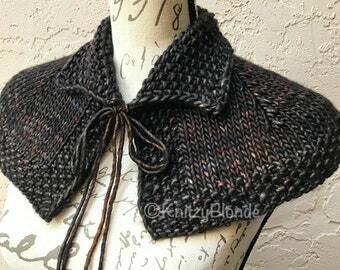 I designed this lovely Claire's Hunt Capelet to be a replica of the one worn by Caitriona Balfe of the TV show “Outlander”. 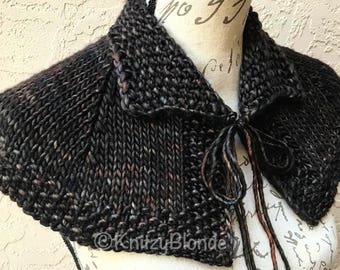 It is a sweet shoulder covering with collar and tie, for when you just need a little extra covering. 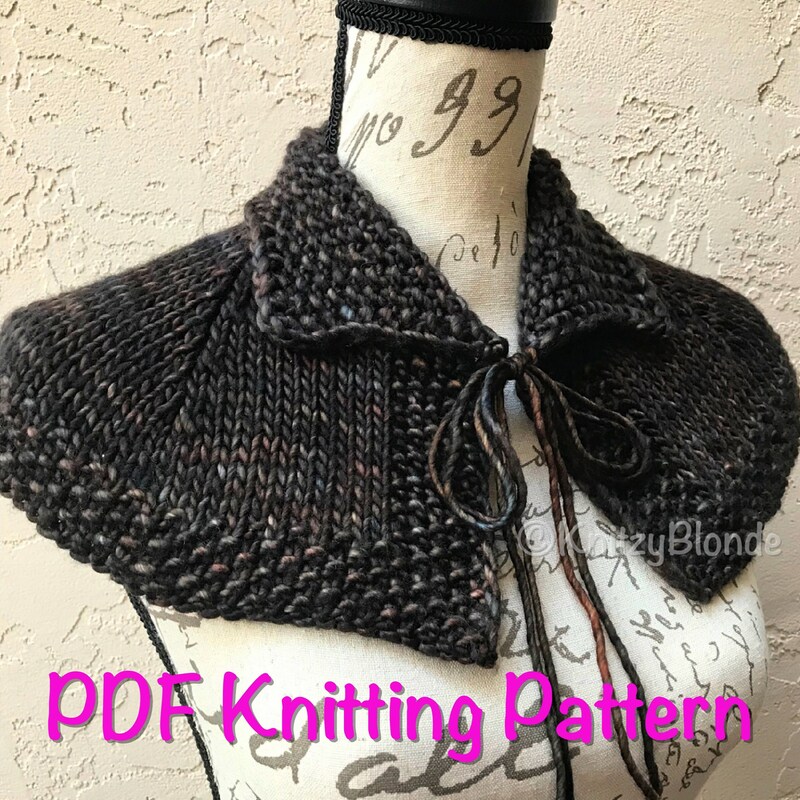 The capelet is knit flat in one piece, on size 11 straight or circular needles. 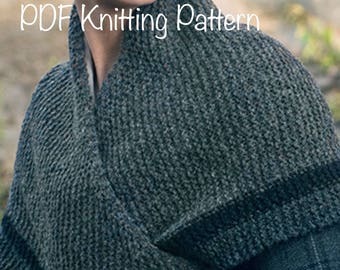 You’ll need 1-1.25 skeins of a bulky yarn, like Knit Picks, Wool of the Andes Superwash. 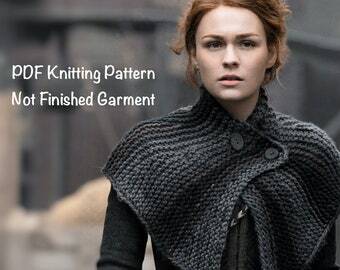 You’ll also need 5 large stitch markers and 1 large eye tapestry needle. 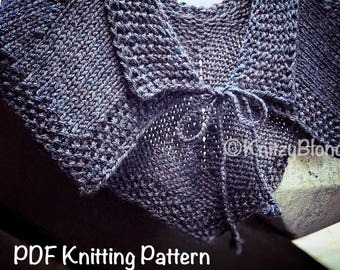 This pattern is suited for Advanced Beginners and up, and requires knowledge of Knit, Purl, Seed Stitch, K2tog, SSK2tog, and use of stitch markers. 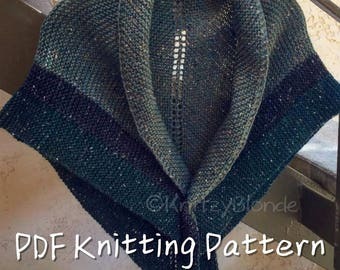 Copyright info: Pattern is the registered copyright of Sandie Russo (KnitzyBlonde) all rights reserved, 2015/2016/2017. 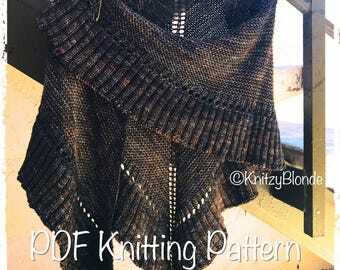 Pattern is for personal use only. 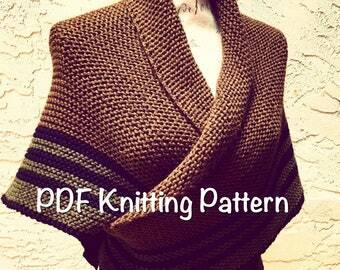 You may not sell or distribute this pattern in any fashion either digital or print.